It was one thing to lose tens of thousands of homes due to cord cutting, dying households and other reasons, but in the latest Nielsen cable coverage estimates, ESPN and its family of networks are now hemorrhaging subscribers. For the November estimates, Sports TV Ratings says ESPN lost 621,000 homes while sister networks ESPN2 and ESPNU have lost 607,000 and 674,000 homes respectively. For those three networks, that’s a total of 1.903 million homes and this is the biggest drop by far. It reduces ESPN to 88.956 million homes and that’s down from its peak of 100 million just five years ago. At that point, ESPN was touting that it was on a level playing field with the broadcast networks, a boast it can no longer make. ESPN2 is in 88.878 million homes while ESPNU is far behind in 70.525 million. ESPN and ESPN2 are covering 75% of the country. ESPNU is in just 60%. But it’s not just the ESPN networks that are losing homes, NBA TV suffered the biggest hit among the major cable sports networks losing 733,000 homes while NBCSN lost 705,000. FS1 lost 355,000 homes, but still managed to gain ground on ESPN in October as we have documented this month. The only sports networks which saw positive results were beIN Sports Español which brought its numbers up by 196,000, but is only in over 18 million homes covering just 16% of the country and NFL Network which gained 1,000 homes for November. So this is a problem that will continue and will not likely end anytime soon. 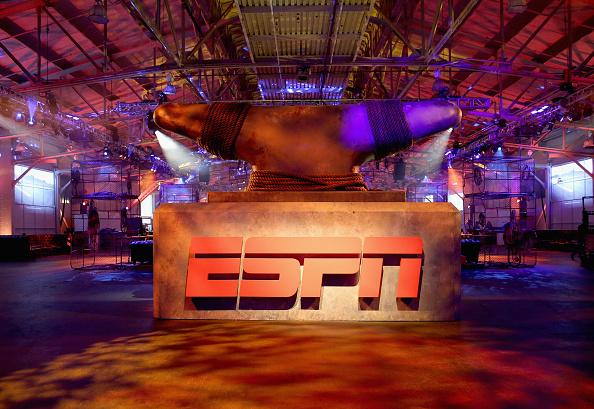 For ESPN, it has to look at ways to offset subscriber losses nor just in numbers, but also in revenue. The pay TV providers like Comcast, Cox, DirecTV, Dish, Spectrum (formerly Time Warner) are paying on average $7 per subscriber and the more homes lost, the less money gets paid to ESPN and its owner, Disney. Stock prices are taking a hit and with observers wondering if ESPN is going to issue an over the top standalone service, perhaps that time will be coming sooner than later, but for now, ESPN remains loyal to its cable affiliates and will not be making a move similar to CBS, HBO and Showtime which are offering OTT subscription services. Should the losses continue, it makes one wonder how long Disney will remain patient and stay with the status quo.